Democrat Phil Bredesen pushed back Wednesday night on the claim that he mishandled sexual harassment allegations when he was governor, in the sharpest of many points of contention during the last U.S. Senate debate in Knoxville. The first Senate debate between Republican Marsha Blackburn and Democrat Phil Bredesen focused on a political back and forth — whether the Tennessee race would determine who ultimately leads the chamber. But the candidates also commented on several issues directly affecting Tennesseans, including the closure of hospitals across the state and gun rights. 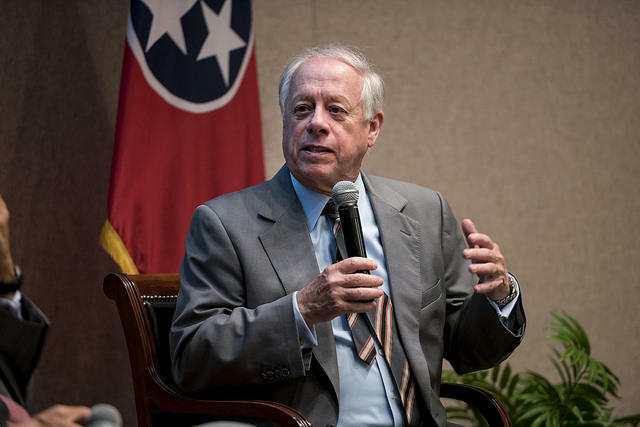 Democratic candidate Phil Bredesen pledged that, if elected to the U.S. Senate, he is not going to support the top Democrat. His remarks were made during an often feisty debate Tuesday night at Cumberland University. In public appearances and small campaign gatherings, former Governor Phil Bredesen and Congressman Marsha Blackburn have been offering a few competing ideas for dealing with the opioid crisis. Some Tennessee Residents Lack Broadband. Could TVA Become Their New ISP? 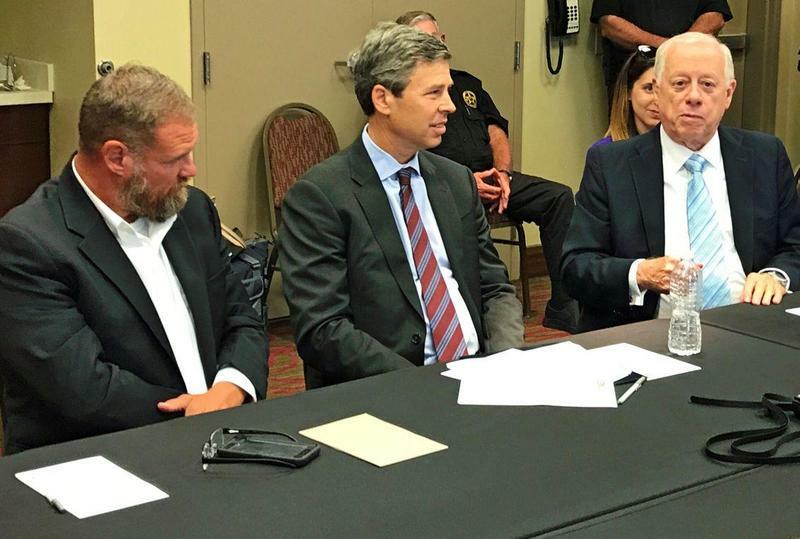 Former Tennessee Governor Phil Bredesen — and his Republican rival for the U.S. Senate, Congressman Marsha Blackburn — have both been talking up plans to expand broadband access in rural places. But they're pitching two very different solutions. 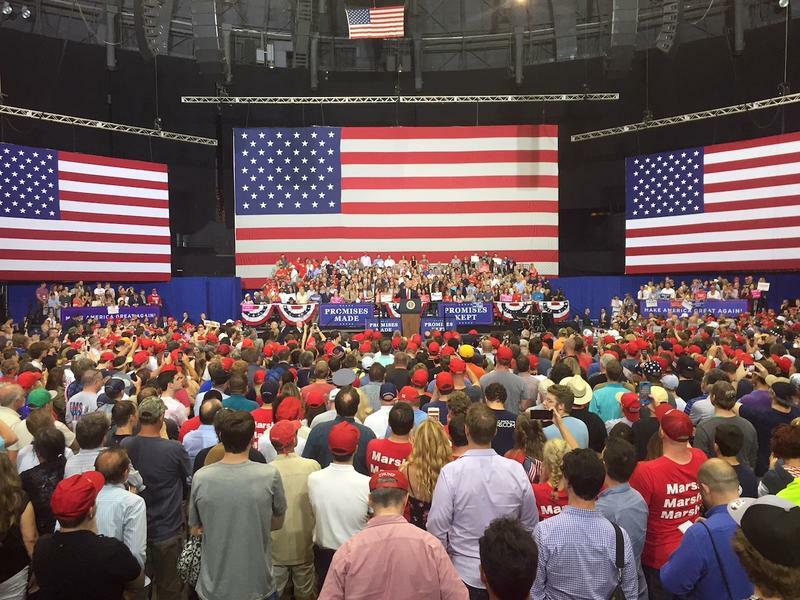 President Donald Trump traveled to Nashville Tuesday to support Congressman Marsha Blackburn in her bid for the U.S. Senate, but Republican hopefuls up and down the ballot sought to tie themselves to Trump in the hope that his popularity will rub off this fall. Hundreds of people are gathering downtown for a rally with President Donald Trump later today — preparing for what would be his third appearance in Nashville since taking office 16 months ago. President Donald Trump is scheduled to arrive in Nashville Tuesday afternoon, prompting road closures and heightened security around Municipal Auditorium, where the rally is to take place. The event is being put together by Trump's political organization, and it seems to be aimed at bolstering Tennessee candidates — perhaps two in particular. 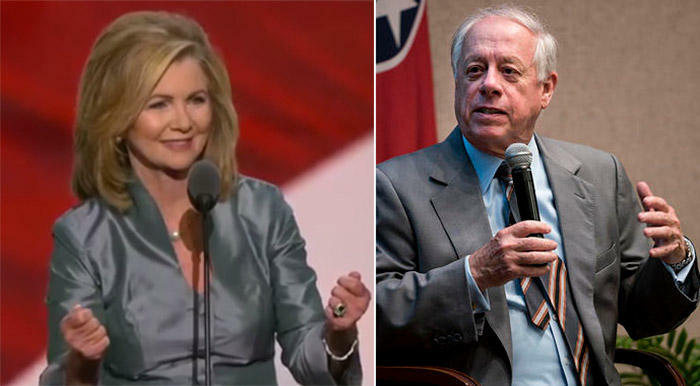 A new poll by Middle Tennessee State University suggests that Governor Phil Bredesen holds a fairly substantial lead over Congressman Marsha Blackburn in the early stages of the race for the U.S. Senate.